Sales Geoanalytics - Ansera d.o.o. 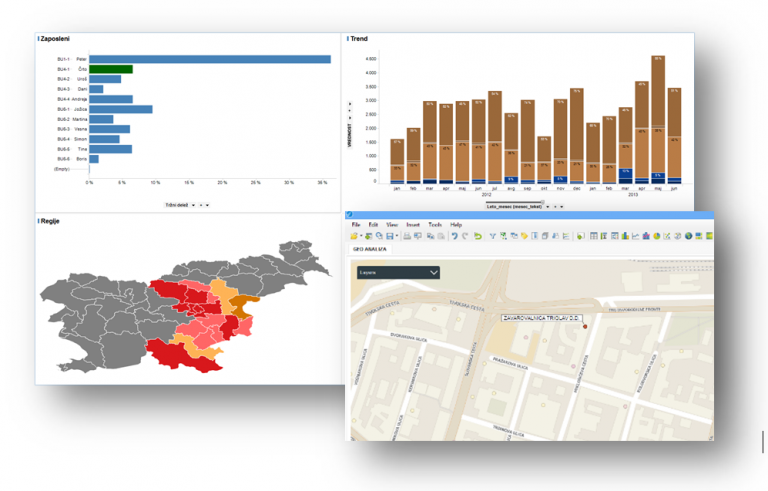 TIBCO Spotfire® geoanalytics was used to analyze sales by region. Most of the necessary information is displayed on one screen, analysts can mark and downdrill the map and charts to examines desired category (title visualization above). Spotfire® had no problems to display of aggregates based on the large amount of data. However data behind was not aggregated since the basic requirement was the analysis of data on the row level. The challenge was to demonstrate larger number of product groups, regions and products concentrated in less space (one or two pages). Using conventional tools (eg. Excel tables) this was shown in table with hundreds of lines and tens of columns making it impossible to focus on critical groups and regions. 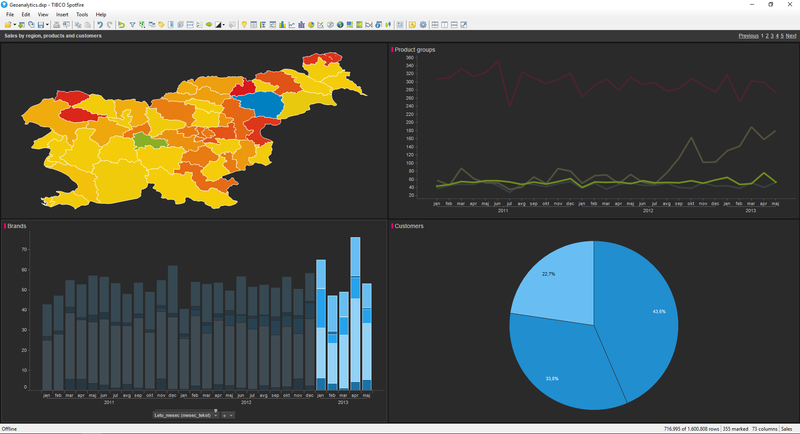 TIBCO Spotfire® was used especially with these features. Processing large amounts of data at the record level. Data visualization on maps, regions or street. The integration of multiple data sources in one analysis and visualization (own sales data from ERP, market data, data wholesalers and retail). The example below shows the analysis of the performance of individual sales representatives by region. There are only those regions displayed which are marked by a sales rep. With GPS data Geoanalytics can be implemented on the street map. This is particularly useful when the market activity or consumption of services is know in advance (such as insurance, field sales, utilities, etc. ).